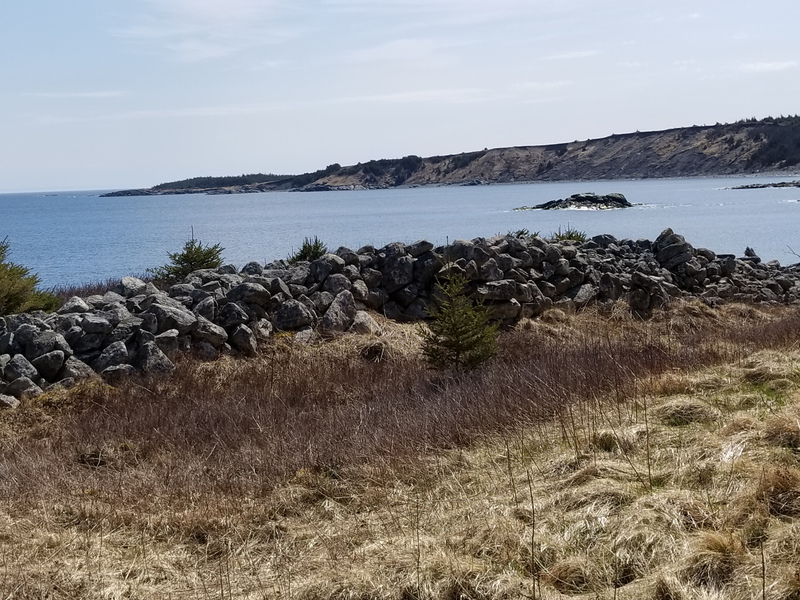 This 10.5 km out-and-back trail was once a cart path leaving from the village of Gabarus heading to the original settlement of Gull Cove. 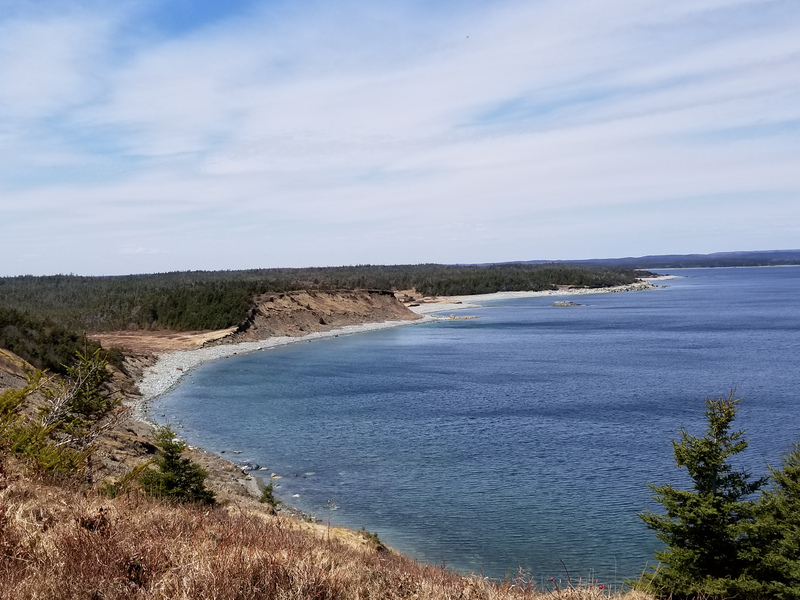 The Gull Cove Trail is relatively flat for the first few kilometers, then hugs the coast, winding through windswept woods, cobbled beaches and coastal barrens. It continues on past the abandoned settlement (keep an eye out for the abandoned foundations), rising to a spectacular drumlin bluff at Cape Gabarus. From Cape Gabarus is a panoramic ocean view that includes Green Island, Guyan Island and the Fortress of Louisbourg National Park. 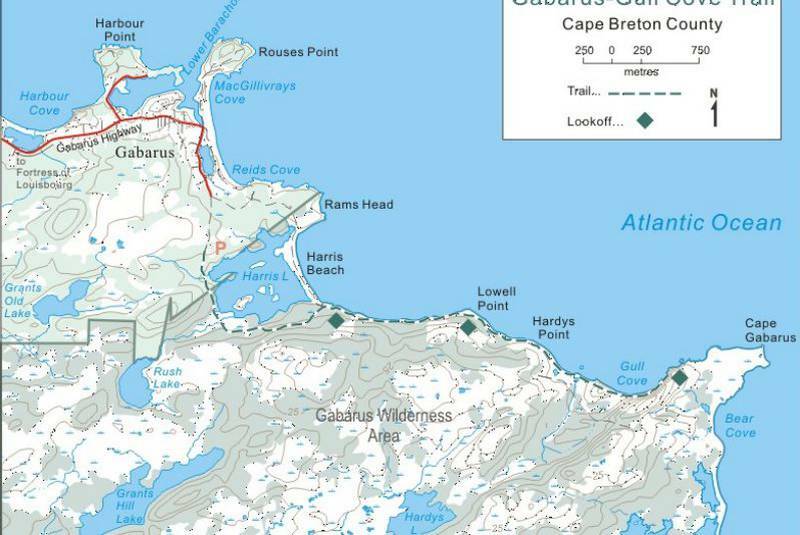 The trail is maintained to the top of the bluff but it is possible to continue on from there around the head of Gabarus, creating a small loop which will add some extra distance to your hike (12.3 km). If you go around clock-wise, Bear Cove is a great place for a lunch. This loop can be a little hard to follow at times but is easily passible as of May 2018. From Bear Cove, you can continue on to Winging Point if you really want a challenge or take the trail back towards Cape Gabarus. This hike starts in a graveyard at the end of Gull Cove Road. 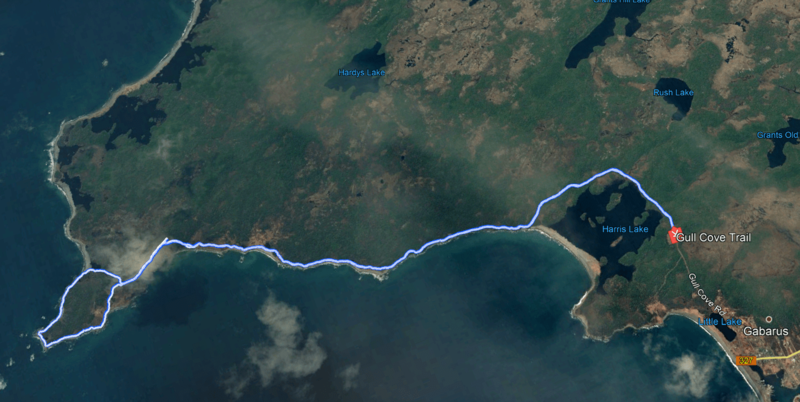 Track of the Gull Cove Trail. Walked Gull Cove Trail this past weekend. 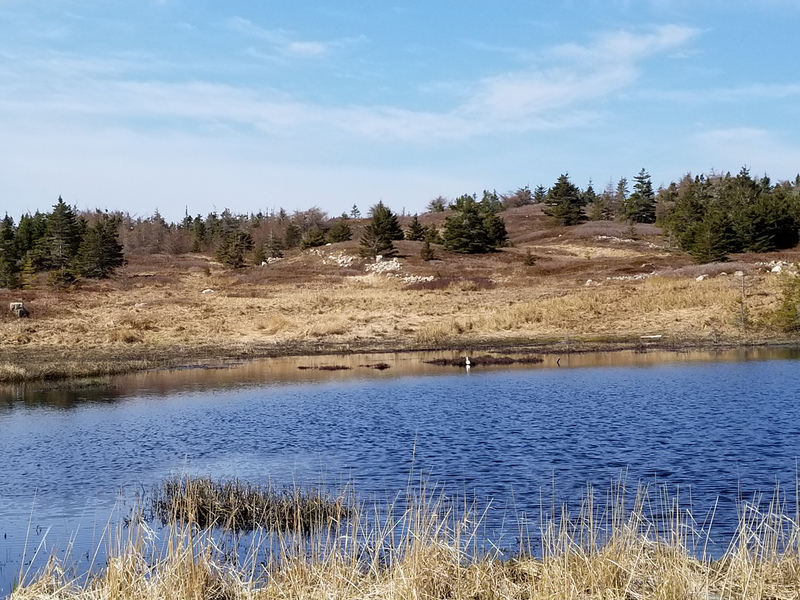 The trail was in relatively good shape for this time of year (May) with lots of birds, squirrels and amazing views of lakes and the ocean along route. Created a recording of the trail on the AllTrails app for smartphone..